This Smart LED TV would be ideal for your living room or your home theater area. It displays image quality that is clear, crisp, and breathtakingly life-like. It boasts a built-in WiFi as well as a clear motion rate of 120Hz so watching experience of your favorite movies, TV shows, and other content will be a true pleasure. Motion blur is really reduced during fast moving action movies, sports and images thanks to this refresh rate. Samsung UN55J6200’s Smart Hub allows its users to easily access all their favorite apps like Netflix, Hulu Plus, YouTube, and more. This TV boasts great smart features, but the downside may be that they’re kind of outdated and slow for some users. On the other hand, this model has amazing black uniformity and very little motion blur. “Smart” is just the beginning with this TV. The Samsung UN55J6200 Smart TV allows you to find your favorite movies, TV shows, games, and sports. You are also able to check out the latest entertainment news, YouTube hits, do some online shopping, or use social media like Facebook or Twitter, and more. With the AllShare feature called “Screen Mirroring”, you can conveniently and easily connect all your compatible devices like tablets, smartphones or cameras to this HDTV and view your photos and videos on large screen. 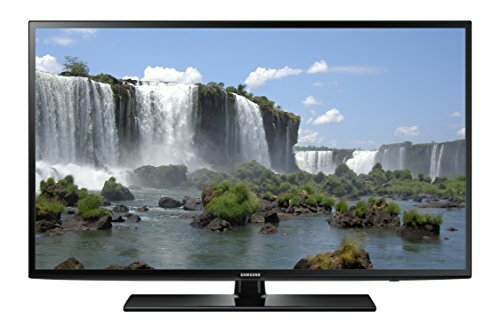 This TV can easily be connected to other devices thanks to its wide choice of ports including 2 USB ports, 2 HDMI outputs, Component/Composite in, Ethernet, RF in, RS232C, Mini Jack Audio Out, and digital (optical) audio out. Once you connect a new source to this TV, you won’t have to do anything manually because the TV deals with it automatically. This TV set boasts great picture quality with some amazing features that will enhance your viewing experience in a big way. For example, Wide Color Enhancer improves brightness and color quality so, while watching your favorite content with the Samsung UN55J6200, you’ll be able to enjoy every image just as the director intended. Moreover, this model from Samsung boasts Full HD 1080p resolution which is twice as high as standard HDTVs allowing you to view your favorite movies, games, and TV shows in crisp detail. Also, a motion rate of 120 on this TV ensures that it keeps up with all the action on-screen. With its amazing processing speed, backlighting technology, and outstanding refresh rate, this Smart TV delivers a clear and seamless moving image which renders rapid action sequences easily.